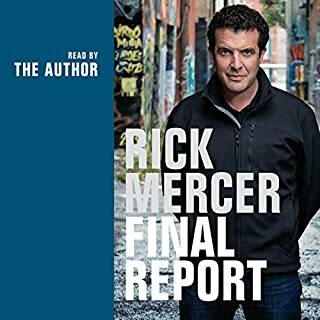 Rick Mercer can always be relied on to provoke a strong reaction - but what he said one fall day in 2017 truly shocked Canada. In a rant posted on social media, the great Canadian satirist announced loud and clear that the 15th season of the Rick Mercer Report - the nation's best-watched and best-loved comedy show - would be the last. This volume brings together never-before-published rants from the last five seasons of the show, plus a selection of the very best rants from earlier years. This is primarily Mercer’s old rants, which become outdated really quickly. Definitely needed more original content. Listening to Michelle Obama tell her thoughtful story, peppered with helpful advice, was truly inspiring. I listened on my commute to and from work, and it easily was the best part of my work day for the last month. Her writing is funny. heartfelt, and touching. I welled up many times. Having her read her own book added another layer. Even if she never became First Lady of the US, her story, her words would be invaluable. Her heart is so full. If she is half as good a person as she comes across in her book, she would still be one of the best people alive today. 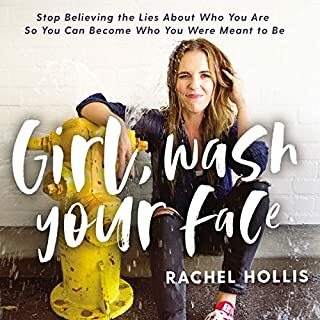 Rachel Hollis has had a pretty privileged life. Sure, she has had a trial (which I won't spoil), but that is about it. She has had ridiculously good career luck and has been happily married to her first (wealthy, well-established) boyfriend since her early 20s. She never struggled with infertility, but lamented about how hard it was to adopt the perfect little girl of which she dreamt (she has three biological boys). She is completely oblivious to the her immense advantages she was raised with -- including loving parents, whose divorce and personal grief she blames for her problems in early adulthood (including being a self-diagnosed workaholic). She chooses to believe that her hard work alone is the root of her success (and body weight). She rarely acknowledges that her husband's money, prestige, and connections are why she has had this level success. Sure, she would not be where she is if she had not worked hard, but hard work alone did not provide her this life or this (squandered) platform. 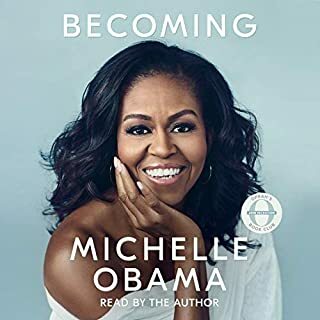 There are a few good nuggets of wisdom (mainly recycled from Oprah and Dr. Phil), and her performance is good. But this is advice from a rich, white girl who is still too young (or has bought far too much into the "pull yourself up from your bootstraps" myth) to realize how much of a head start and safety net she has had. I do not deny she has had pain. But often, when she recalled her struggles with her dad's temper or the adoption process, I found myself rolling my eyes (just a little). I was surprised that not only someone gave this girl a platform to provide life advice, but that she is a bestseller. She has always been loved (though she does seem to resent her parents an awful lot), she has oodles of money -- these are things that many people do not have. So, this advice is only for people who have a lot to work with from the get-go.